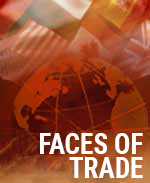 The North Alabama International Trade Association (NAITA) is pleased to present its Faces of Trade series of company profiles to promote the value and benefits of exporting. These profiles highlight North Alabama companies’ products and/or services, current international markets, and the impact of global trade on sales and employment. NAITA gratefully acknowledges the U.S. Chamber of Commerce as a valuable partner in helping NAITA promote the importance of international trade at the grassroots level, and NAITA has worked to help with their trade advocacy efforts in promoting positive trade legislation when communicating with our Congressional delegation. Free trade agreements and the Export-Import Bank of the United States are tools designed to help companies be more competitive in the global marketplace. Please contact NAITA if you have input to share on these tools and whether or not you think these resources are or will be beneficial to your firm’s international business expansion strategy. Please peruse these stories that put a face on trade and discover the importance of international trade to the North Alabama economy and business community. Contact NAITA if we can be of assistance with your firm’s international market development.